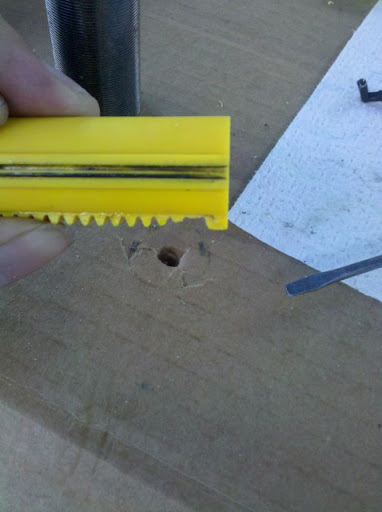 Pyramyd Airsoft Blog: AEG Piston Mods - Removing Teeth is easier than pulling teeth, especially when you have a Dremel. Wait, what? 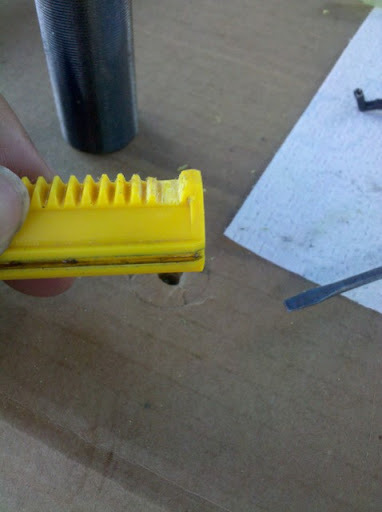 AEG Piston Mods - Removing Teeth is easier than pulling teeth, especially when you have a Dremel. Wait, what? I would never suggest you Dremel your own teeth, you need those for chewing food, obviously. However, if we were talking about piston teeth, then we have a different story. I actually DO recommend removing at least one tooth for pretty much all types of setups, whether they are built for speed or for power. Before you just go out to your Airsoft man cave and start filing away piston teeth, you need to know which teeth to remove or reduce. You'll want to completely remove the 2nd tooth, which immediately follows the first tooth (weird), which is located on the end of the piston opposite the piston head. You'll also want to basically file the 3rd tooth to about half it's original height (but probably not any more than that) as well. The reason for doing this is to prevent the sector gear from prematurely engaging those teeth during a cycle. Premature engagement is a problem for many guys out there and while embarrassing to have occur, IS a preventable situation. Check out the photo below where I've taken the liberty of performing this mod to perfection. 2nd & half of the 3rd CA25 AEG Piston Teeth Removed. See, in the picture above, how the second teeth is completely removed, then the 2nd & 3rd teeth are reduced on a gradual basis? You'll have to eye-ball how much you should remove within your own system, but this is the general idea. Some setups may not require you to remove quite as much of the 2nd or 3rd tooth, so pay attention to what you're doing and think before you just start cutting things up. This is yet another situation where my mantra of "Don't be an Airsoft idiot" applies.